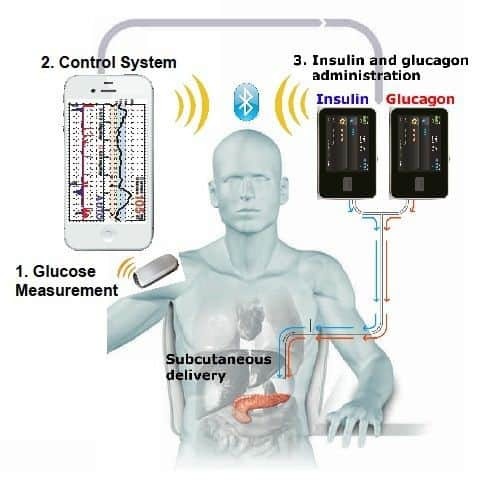 Will there be an Artificial Pancreas on the Market by 2017? You are here: Home / Solutions / Will there be an Artificial Pancreas on the Market by 2017? We received a question from Susan, who has Type 1 diabetes, asking about the likelihood that an Artificial Pancreas will be on the market by 2017. In response to Susan, we checked in to the current news and research going on to see where we are in relation to getting this show on the road. We’ve been waiting awhile for an Artificial Pancreas, and it’s safe to say that the wait is almost over. For those wishing for a closed loop system that adjusts insulin doses for you based on your needs, we’re on the brink of some real breakthroughs here. You may remember seeing pictures of the first Artificial Pancreas, and thinking there is no way that I could or would want to carry that huge contraption around. It wasn’t very practical with all the weight of it and tubing coming out of it from every direction. Things have come a long way, and though it’s not the implantable device that works just like a pancreas that we are all wishing for, it is closer to it. It will be able to sense insulin needs based on data from the Continuous Glucose Monitor (CGM), and will require little programming by the user. However, you will still have some things to do, and you will have the pump and CGM device attached to the outside of your body. There will be tubing and site changes, there will be some self monitoring of blood glucose (SMBG) that you will have to do, and you will have to set boluses and possibly program some other things into the pump. It’s true that Medtronic is in the lead and has filed for FDA approval for its version of the Artificial Pancreas. We could see the MiniMed 670G coming out as early as April, 2017. But when did they close the loop on the closed-loop system? The answer- technology. The device will work with a wireless smartphone device. Of course!!! The loop is there, it’s just invisibly being transmitted between devices. Nothing too short of genius. Still, it is not fully bionic. Patients will still have to fill the insulin pump and charge the sensor battery. They will need to perform self-monitoring of blood glucose every 12 hours, and set boluses for meals. It will work in combination with an Enlite 3 Continuous Glucose Monitor (CGM). Tandem is running a close second in the race to get to the Artificial Pancreas market. They are running trials on their version this year, and it’s unsure if they will be able to get it ready to go before the end of 2017. It uses the Tandem T-Slim pump that has a built in device that predicts hypoglycemia, and can suspend insulin delivery in wake of a low blood sugar. It works with a Dexcom CGM. They have another version that is the T-Slim pump with a built in device to pick up on low blood sugar and high blood sugar, and help to minimize both. It also works with a Dexcom CGM. Internationally, a closed-loop trial is going on that may support FDA approval as well. The system has already been tested in skiers at Wintergreen and Breckenridge in the US. This will be a commercial version of DiAs hybrid closed loop. It can run on a pump, or you guessed it – a smartphone app!!! Yes, there’s an app for that. It will also be supported by a Dexcom CGM. There are several pump companies that are signing on for the trial. Cellnovo is one. It’s unsure who will submit the application to the FDA, but the first 6 months of the study could be used to seek FDA approval. They are also not sure if they will decide to imbed the algorithm into the insulin pump, or keep it on a smartphone. The trial will be for adults with Type 1 diabetes only. Each person will stay in for 6 months, and the entire trial is to last for 2.5 years. The trial will be looking at how much reduction in average blood glucose level is seen, and how much they can reduce the risk of hypoglycemia by using the closed loop versus the open loop system. 160 participants will utilize the closed loop system, and 80 will utilize the open loop system that is currently available. The trial offers university locations in the US and Europe. To find out how to become a part of this trial, or for more information, you may email artificialpancreas@virginia.edu. Following the trial, we could see FDA approval for this one sometime in 20181. By late 2018, we could be seeing the iLet device come out from Beta Bionics. It’s being developed at Boston’s Massachusetts General Hospital. It’s somewhat amazing, as it combines everything for the artificial pancreas into one device. The device is able to administer insulin and glucagon. There still needs to be a bridge study where they look at the glucagon aspect of the pump. For starters, they need glucagon with a longer shelf life. Several companies are in the process of trying to stabilize glucagon. Getting the insulin part of the pump going where the glucagon can easily be added later is a prime focus, and that’s why the folks at Beta Bionics have started a public benefit corporation. This way, they will not be looking solely at making profits, but at getting the Bionic Pancreas out to as many people with Type 1 diabetes as possible. The addition of glucagon may be a personal preference, and could give some additional blood glucose control. It would also be a help to those with hypoglycemia unawareness. The website is up and running! Visit www.betabionics.org to learn more. Lilly has invested $5 million, so this is a good one to watch. 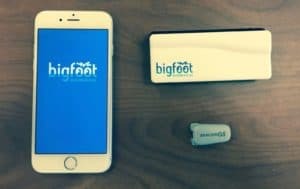 The Bigfoot is proposed to come out in 2018, and again it is going to feature a smartphone app. The pump is without buttons or a screen. A monthly subscription may be available, which could help with insurance approval. The device will use Bluetooth, and a paired Bluetooth glucose meter for CGM calibration. 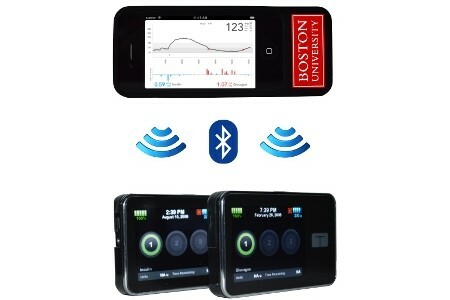 Users need only to interact with the smartphone app to work the Artificial Pancreas. Is your phone out of range? No problem, the system just keeps running. Who will know that you are using an insulin pump when you are looking only at the smartphone app, and not pulling the pump out of your pocket? Well no one, that’s who. Software updates should run quickly through a phone app, and you will have the ability to integrate with nutrition and exercise data. When you turn on this pump, you will be asked what your basal insulin dose is, and how afraid you are of hypoglycemia. The second question allows you to set the pump target higher, avoiding low blood sugars. Pending FDA approval, this one should be on the market by the end of 2018. Animas hopes to have a pump with a hypoglycemia-hyperglycemia minimizer and a Dexcom CGM out by November, 2017. Insulet Corporation that produces Omnipod hope to have a closed loop version with built-in Bluetooth to be used with a smartphone app to communicate with the Omnipod and a Dexcom CGM. We won’t see it hit the market until late in 2018. Roche Pharmaceutical is working on a CGM that could be paired with an Artificial Pancreas device in the future2. Should I get an Artificial Pancreas when they start coming out in 2017? As with many new things, the first ones may come out with some problems. As time goes on, things will improve. Think big bag phone, and now take a look at your current smartphone. We really don’t know what kind of insurance reimbursement there will or will not be at this point. Hopefully, insurance companies will reimburse if AP’s can lower A1C and reduce hypoglycemia, but this may take time. What are some problems facing Artificial Pancreas developers? There is a need for stabilized glucagon with a longer shelf life. Researchers are also trying to develop insulin that behaves more like insulin coming directly from beta cells in the pancreas. They are essentially trying to make a faster acting insulin than the ones currently available on the market. Other problems are battery life, and connectivity with wireless devices which may present a problem In rural areas without internet service. How will a pump with glucagon and insulin help me? If you have frequent hypoglycemia, or hypoglycemia unawareness, the pump would sense that your blood sugar was low through the CGM, then the pump would administer a dose of glucagon to counteract low blood sugars. This is more in line with what happens in the body when the liver spits out glucagon when it thinks you are starving. It would give the opportunity to fine-tune control as well. Although a smartphone device sounds like a great idea, researchers are trying to eliminate it so that the pump will work in absence of the smartphone device. This is in case a person does not have access or loses connectivity. There are many factors to work out. But again, think big tube TV that the landfill want take anymore, and thin flat screen TV’s with HD. You will likely need to give this technology some time to develop and improve to end up with a good system that works well. With 30% of Type 1’s using an insulin pump, the advent of the Artificial Pancreas will bring choices that can mean good control and a longer life free from the complications of diabetes. We invite our readers to tell us what they think about this article in the comment section below. What are your thoughts and feelings related to the Artificial Pancreas? Would you like to use one when they become available? Please share your thoughts. being a long term diabetic, I long for the day that I have a CGM and Pump that works together to provide insulin as needed without continual attention. My daughter has chronic pancreatitis. I am very excited about this. An artificial pancreas, as described, would be a big step forward in diabetes 1 treatment. It is exciting. My daughter is a type 1 diabetes. As a survivor of TTP, an irreversible total gastrectomy, and an insulin sensitive diabetic, this device could add years to my life, and give me a better quality of life than I thought possible. Hope springs eternal. device (Supplies) and then indulging in foods that nobody should be eating. who can’t due to other health issues). All options are good but this is not for me. I am a panreatic diabetic and have been in 2 DKA coma’s since 2016. I had to have my pancreas removed, due to chronic pancreatitis caused by a birth defect, in 2008. I had the Islet Cell Transplant that failed and by 2013 my blood sugars were out of control. Just this January I was in ICU again for DKA and was NPO for 3 days on an insulin drip getting my BS checked every hour. On day 3 my BS got down to 97 and the nurse was excited but that was short lived when she checked it an hour later and it was 247. The doctor came by after that and yet again we were all frustrated because just when we think we are on the right path my body just will not cooperate. I hate being in the hospital but I am glad when things like that happen so it can be documented so they see the bigger picture and make adjustments accordingly. The only major problem is the hypoglycemia that occurs frequently because I have major digestive problems including UC therefore I often cannot eat enough to cover my insulin. I am more hopeful now because of the advances with the pancreatic pump. I am grateful to those who are making it their lives works to improve the lives of those with this debilitating disease. Thank you for reading and sorry so long but I have only met one person like me and I thought if I told my story maybe some else in my situation may benefit from my trials of living without a pancreas.